The home grid of jOpenSim, a Joomla! component for managing OpenSimulator grids. Join us and explore the possibilities of jOpenSim. Meet developers to discuss your wishlist or problems. 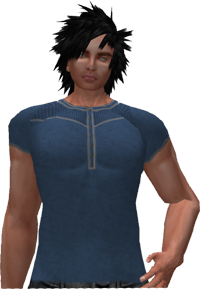 Have a chat with jOpenSimWorld residents or become one yourself. NOTE: jOpenSim is not affiliated with or endorsed by the Joomla! Project, Open Source Matters or OpenSimulator. The Joomla! name and logo is used under a limited license granted by Open Source Matters the trademark holder in the United States and other countries. jOpenSimWorld offers FREE land on our region Canary Islands for residentual use! New residents of jOpenSimWorld can claim 1 parcel for free. jOpenSimWorld has started 2010 as a demo grid for the Joomla! component jOpenSim. As time went by, it became a place where people loved to hang out. In late 2013 FoTo50 decided to change it to a public community grid.